In a time where the majority rather chooses for the easy and cheap digital way of working, silk screen workshops are struggling to stay afloat. The One Window #1 project is meant to show the richness and diversity of the silk screen technique by giving three completely different artists a free hand in exploring this beautiful trade. 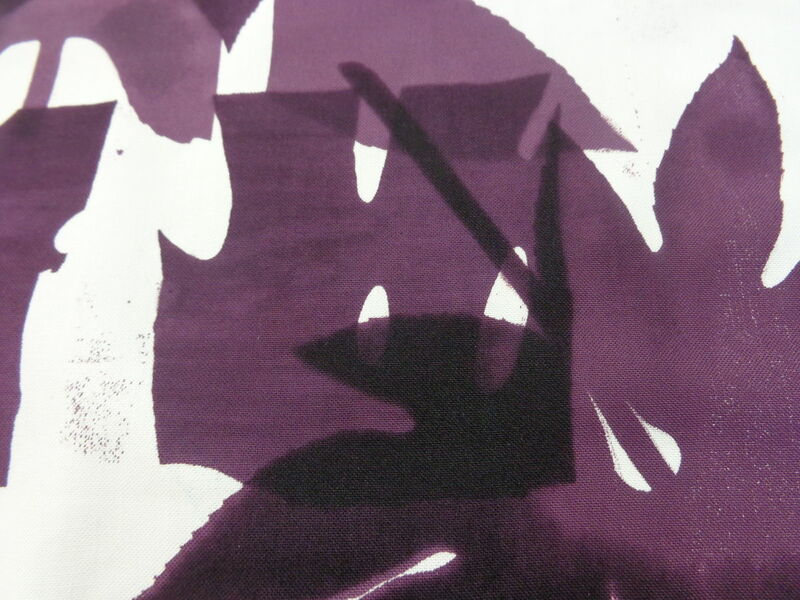 By giving them one restriction – the use of only one silk screen – the participants are challenged to develop a new outlook on this traditional technique, resulting in new possibilities for its application. 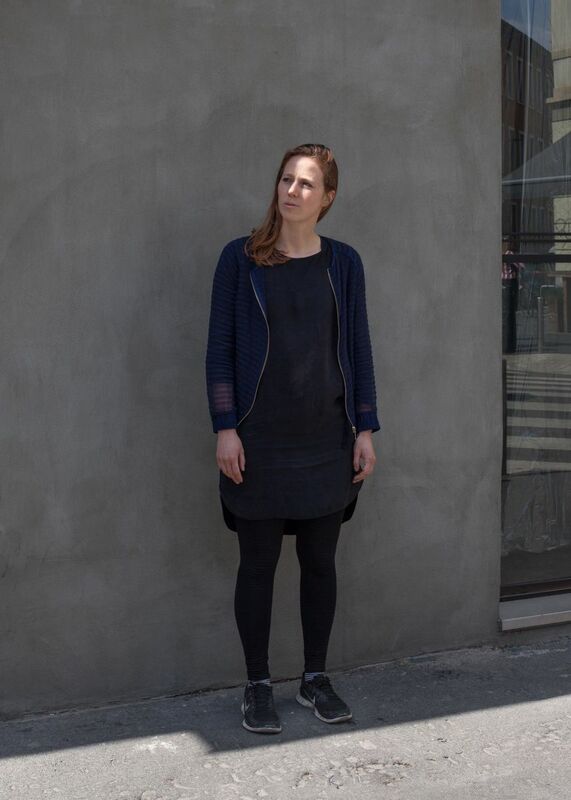 Three artists will separately develop new works, all starting with the same tool; one screen printing frame, measuring 140×100cm. Sponsored by Hurtz and Publivenor. 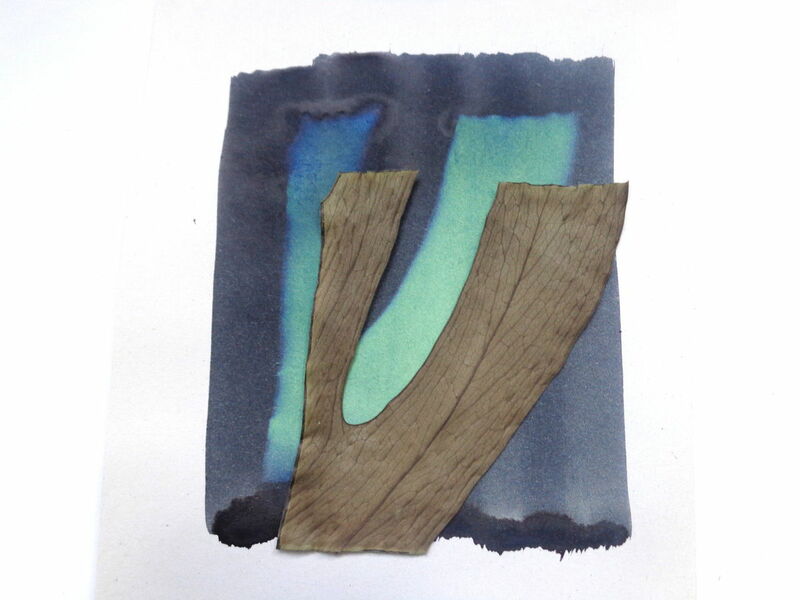 While making the final print I saw a friction between colour and form. After making tests to see how they work together, I decided to empty the screen and start all over again. 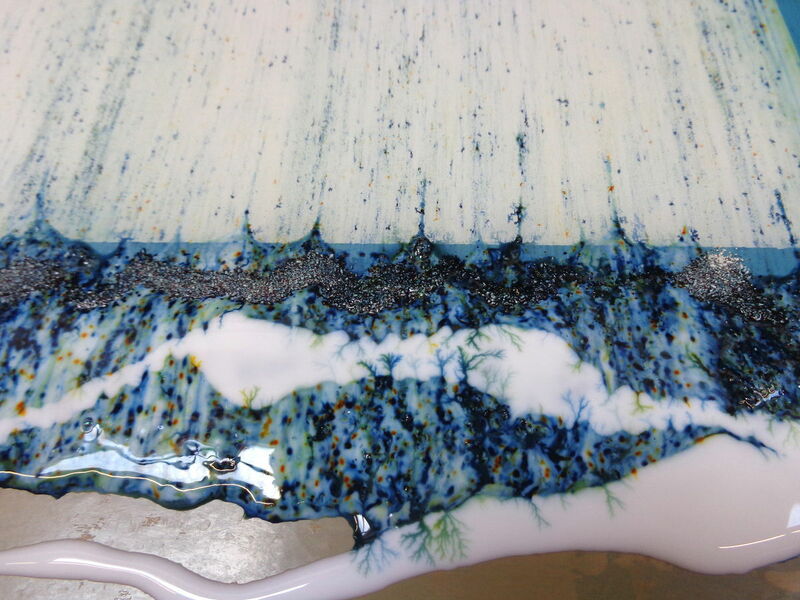 I found a way to work with colour that arises during the process! 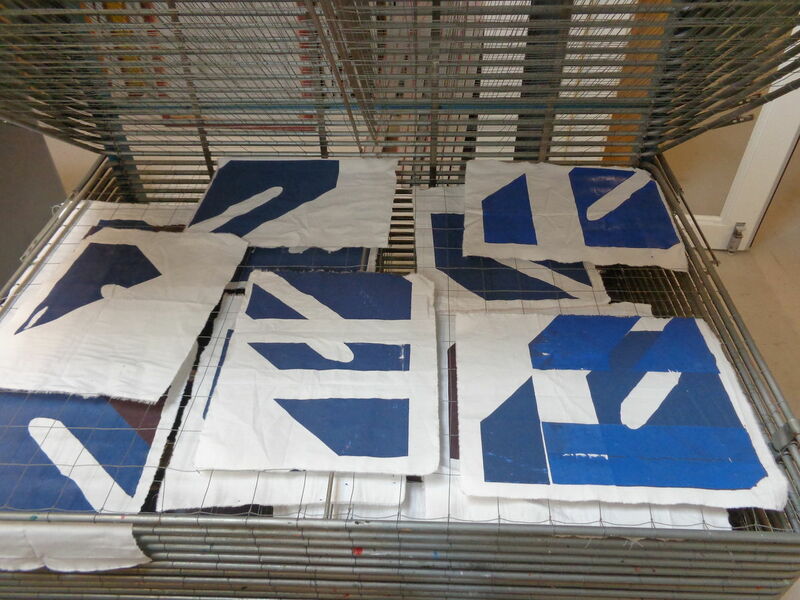 Now the big silkscreen is ready, I did some test prints to get a feeling of working with the 48T mesh. 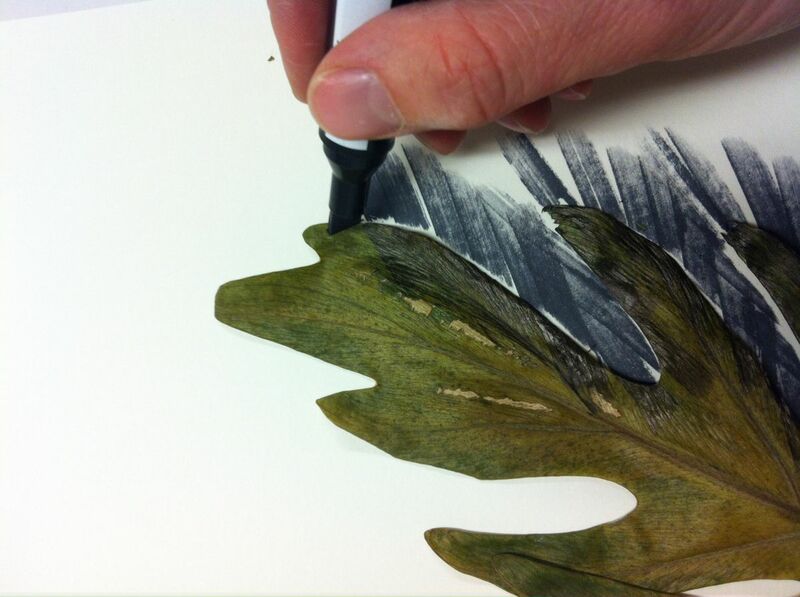 For the final prints I use another way to enlarge the Monstera leaf. 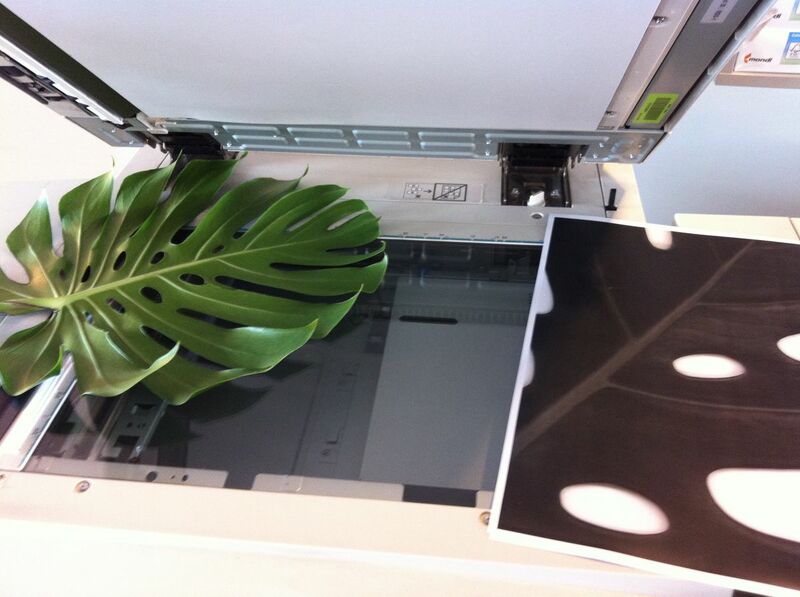 The idea is to print one big leaf. 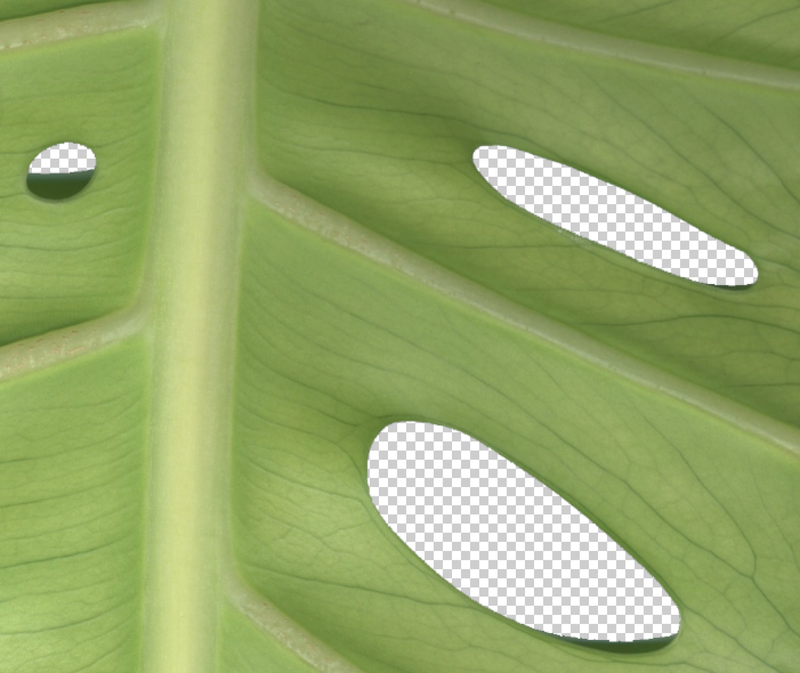 But how to scale up the shape of the leaf to make the Monstera monstrous? In this post you can read about a free interpretation of the grading technique used in fashion to resize a pattern. Parallel to reading the scientific paper about why the Monstera deliciosa is full of holes, I did a second light test to see what working with sunflecks does. Why is the Monstera deliciosa plant full of holes? To get the answer to this question I contacted the scientist Christopher D. Muir (USA) who wrote an article on this. By contacting him I hope to get an insight in the plant’s construction. 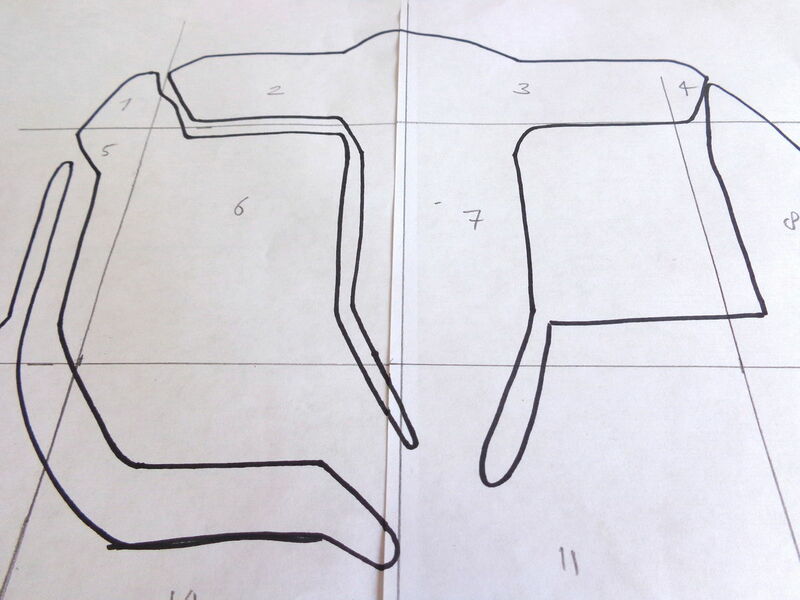 Valuable information for my approach for the final prints. After I’ve made cut outs of leaves, I wanted to test how the transparency of the leaves works when you expose them directly to UV light, on a screen with sensitive emulsion. After visiting the ‘The Oasis of Matisse’ exhibition I looked deeper into ways of constructing patterns with real leaves. 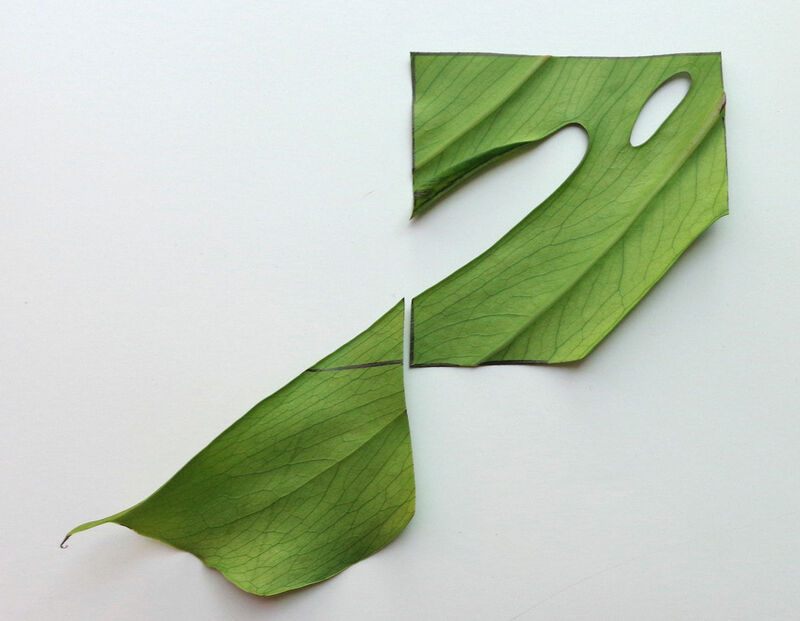 I started to play with the organic shapes of a leaf and the geometric character of a grid. 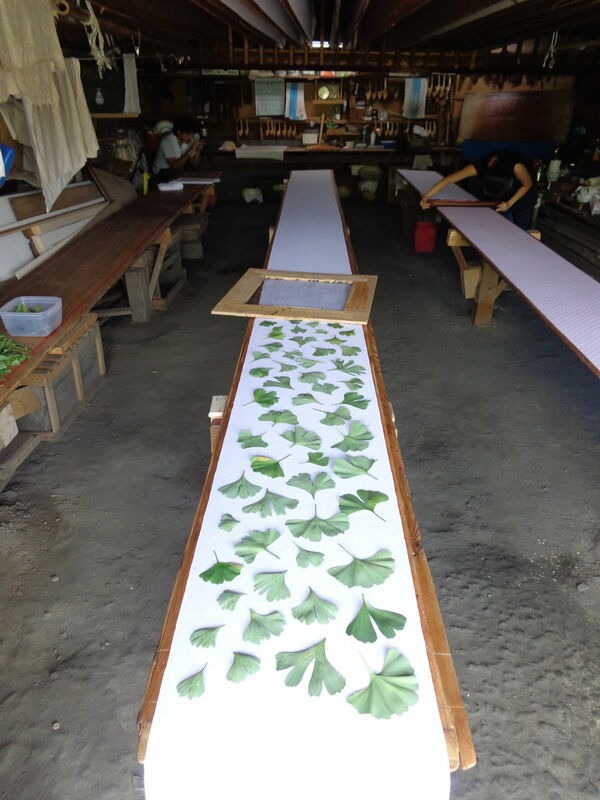 Using real leaves is something I would like to integrate in my One Window project. To work in a direct way, 1:1. At the moment I am finding out what kind of plant I will use, where it comes from and how to approach the imprint with it. 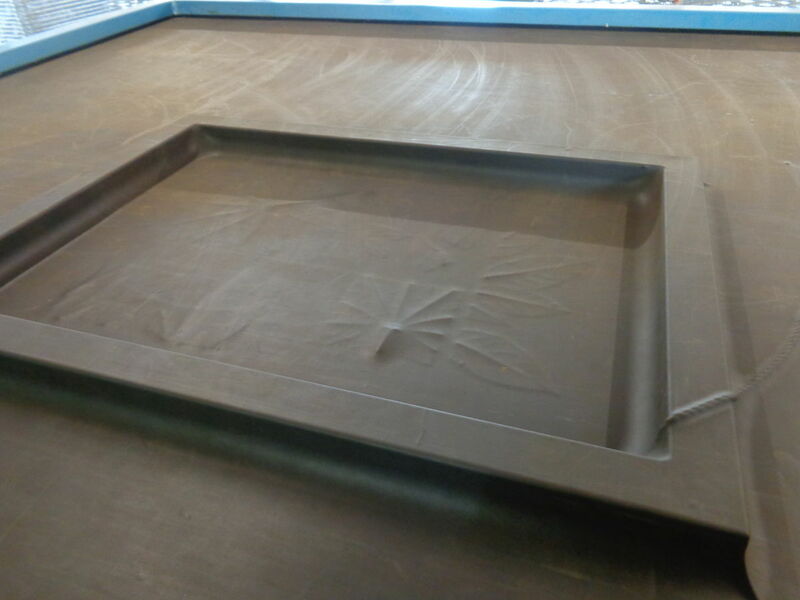 In my research to find a way to make a flora imprint by physical movement I looked back at the Katazome workshop I did last summer in Japan, where I made an imprint of Ginkgo leaves from the garden of master Mr. Noguchi. Where to start when there is one rule; use a screen of 140x100 cm that can only be exposed one time. And what to expose then? 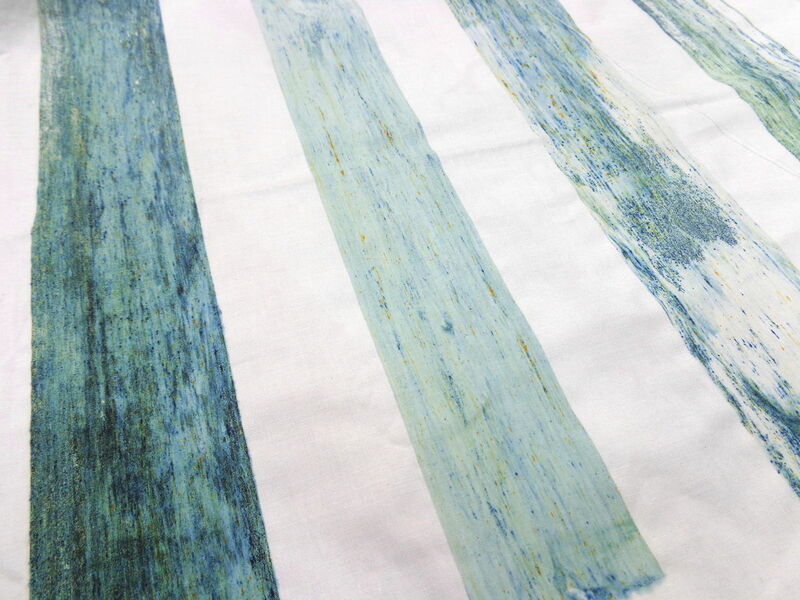 One condition is set: the surface I will print upon will be textile. Therefor the window is already spanned with mesh type 48T. 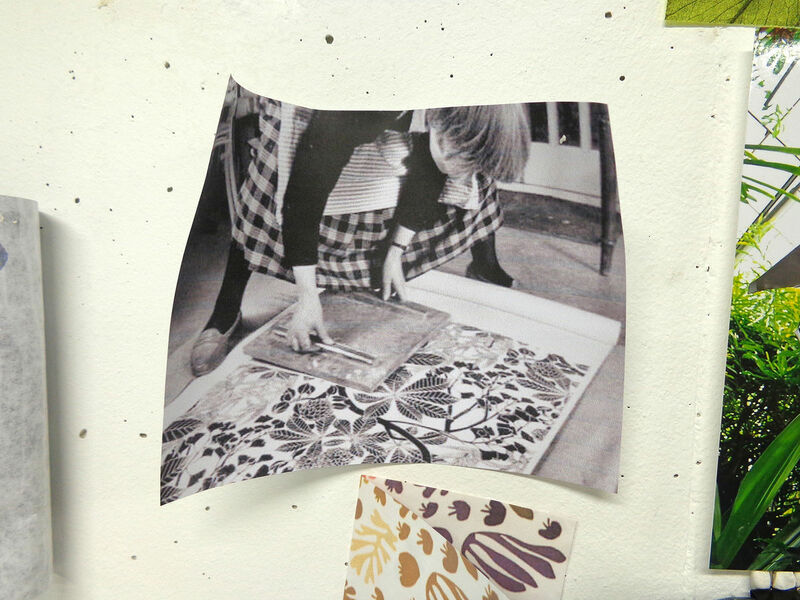 A few months ago I pinned this image on my studio wall that I will use as a guide for this project to create a flora imprint by physical movement.